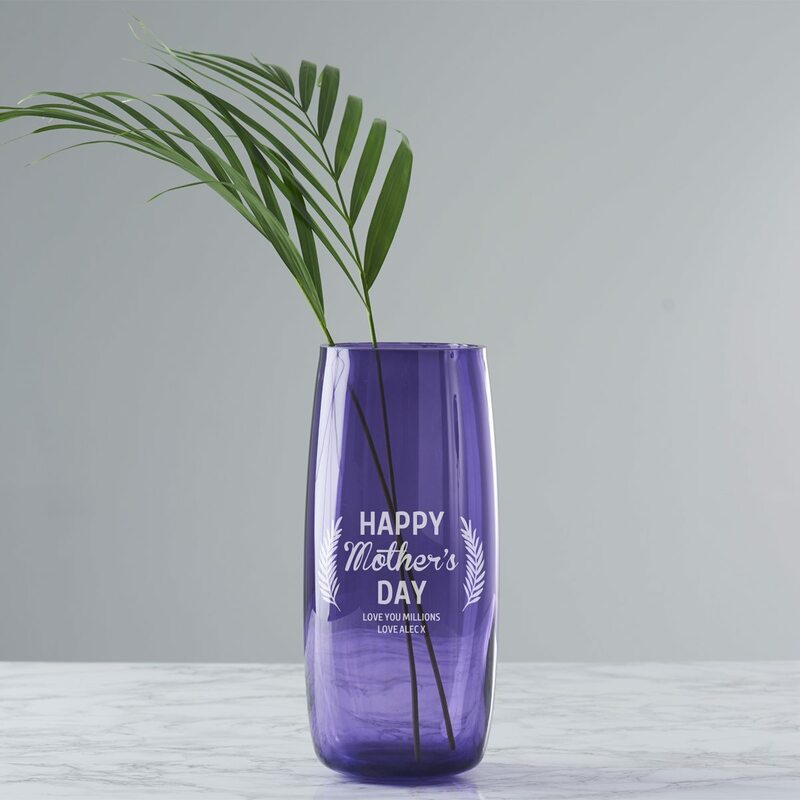 A personalised vase is the perfect Mother’s Day gift. 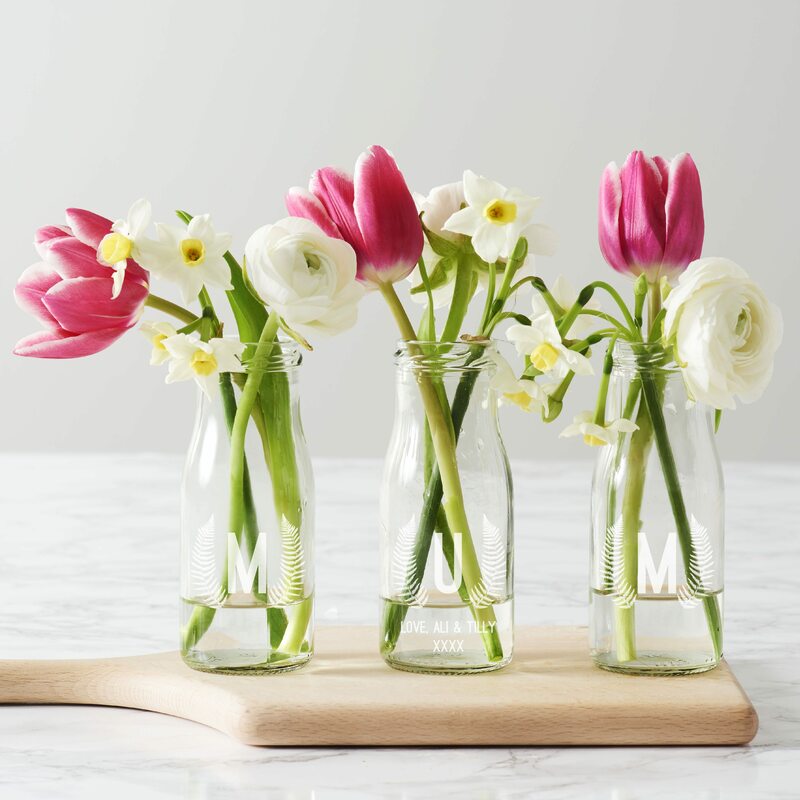 A set of three personalised vases, perfect for Mother’s Day. 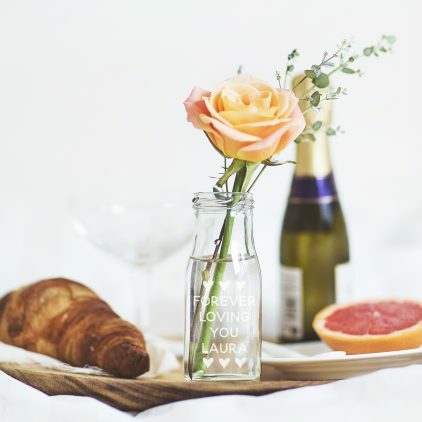 Thank that someone special with this personalised square vase. 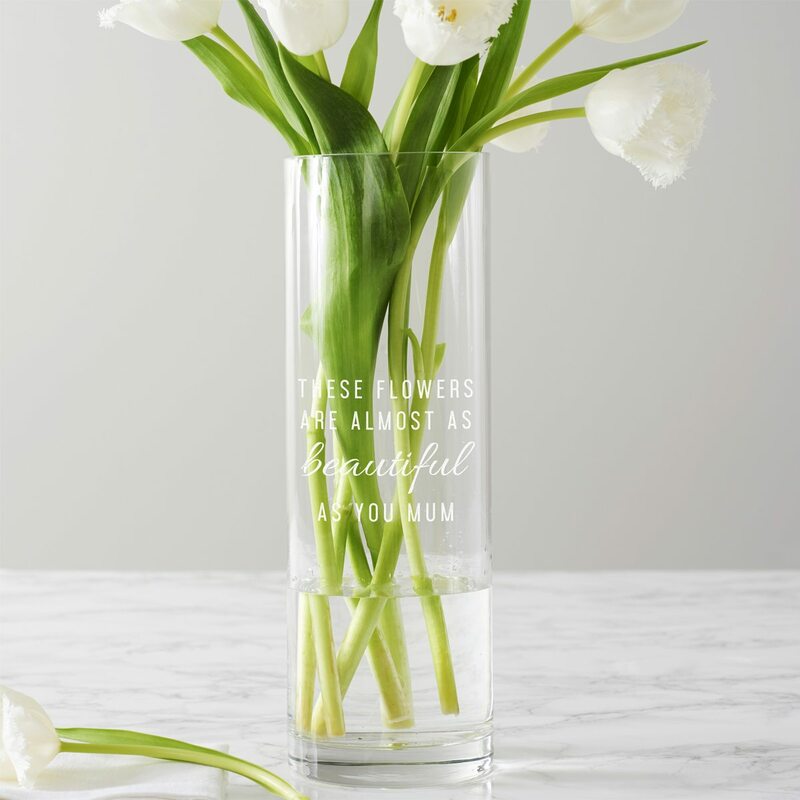 Tell your mum just how beautiful she is with this personalised vase. 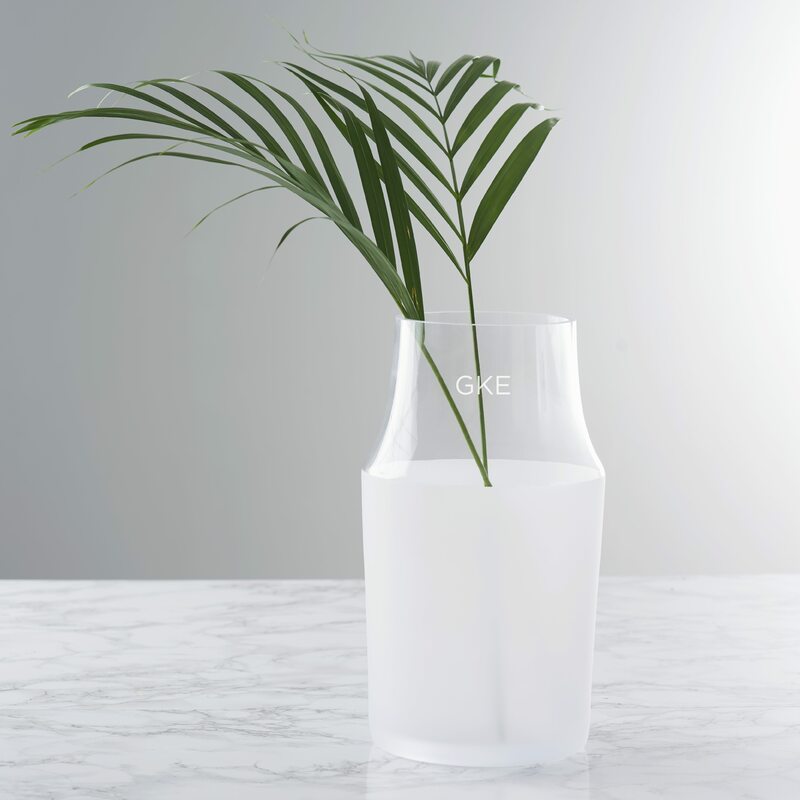 This personalised vase would be a perfect birthday or Mother’s Day gift. 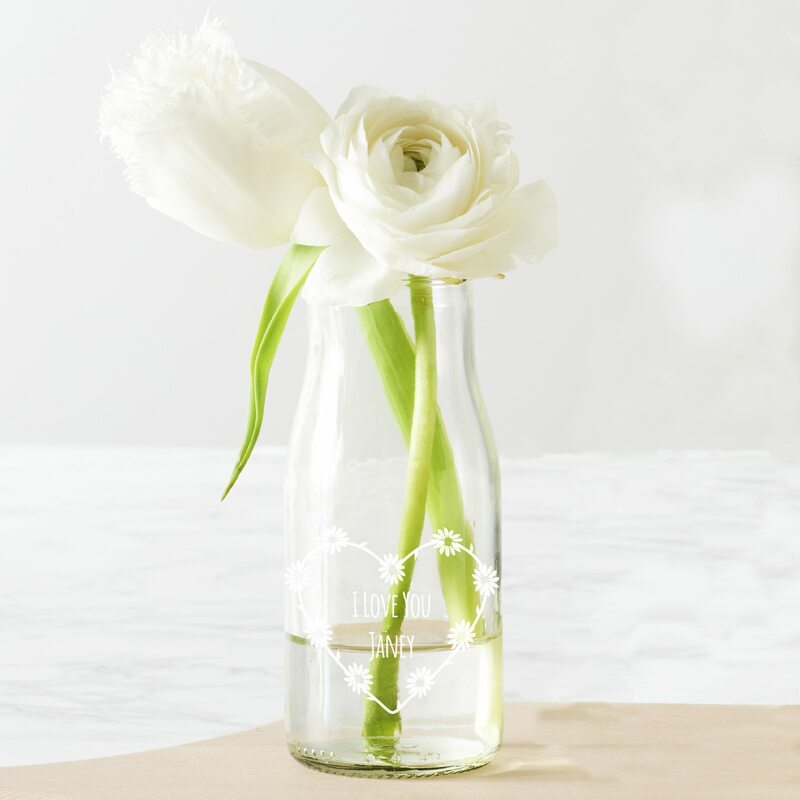 This personalised bud vase is perfect as a small romantic gesture this Valentine’s Day. This beautiful personalised brass frame for mums is perfect as a Mother’s Day gift. 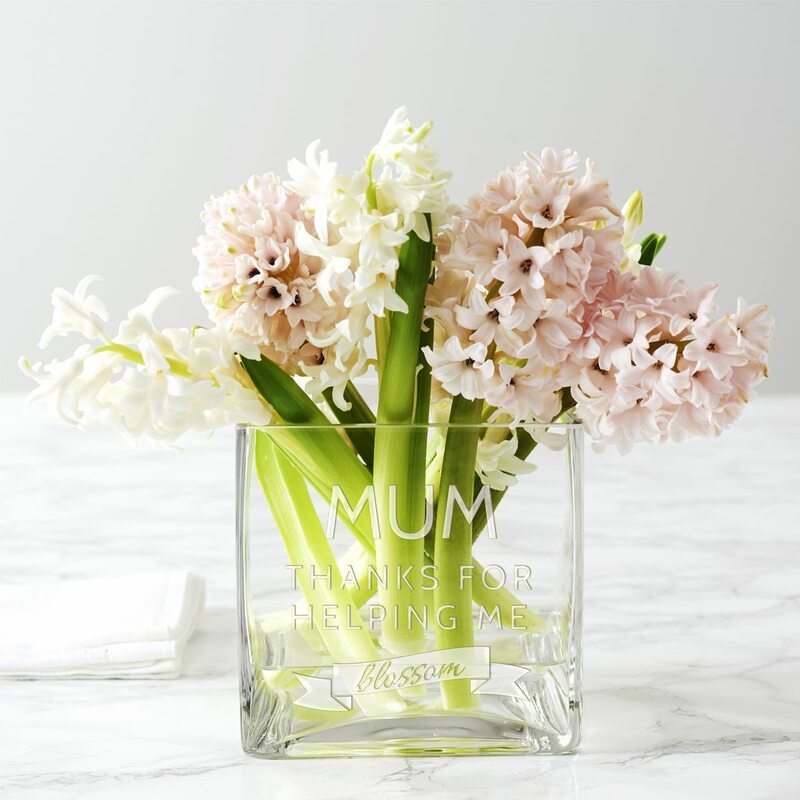 Make Mother’s Day extra special with a personalised vase. 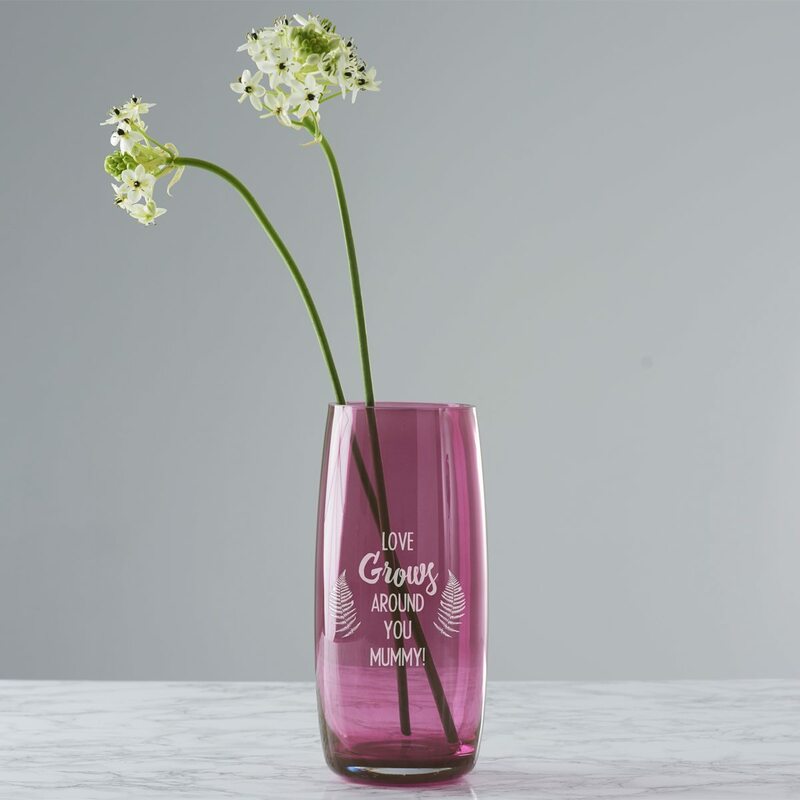 An etched bottle bud vase for displaying individual stems of flowers. 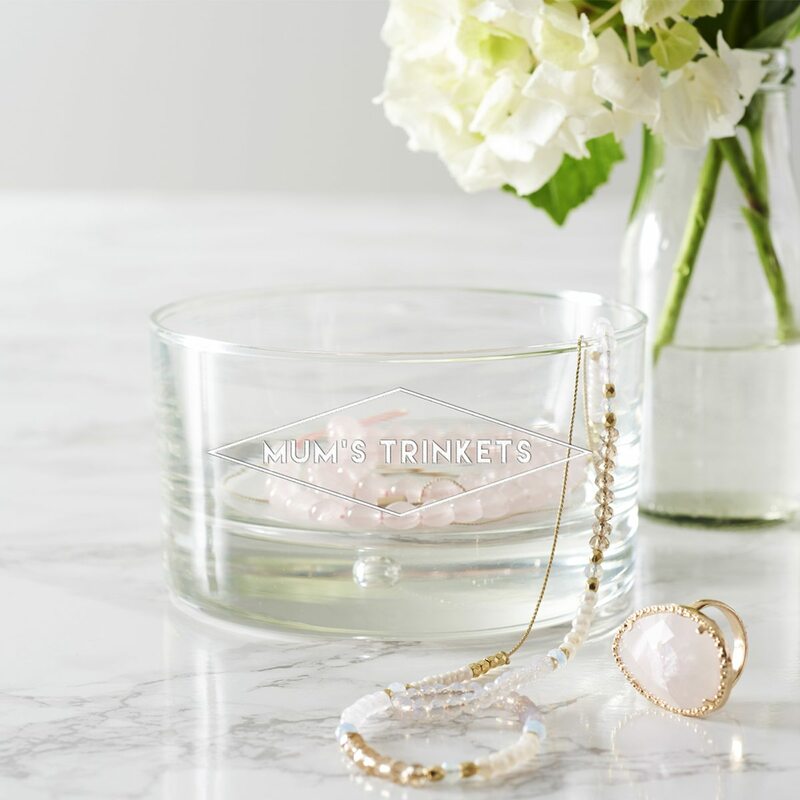 Keep your precious pieces safe in this personalised trinket bowl. 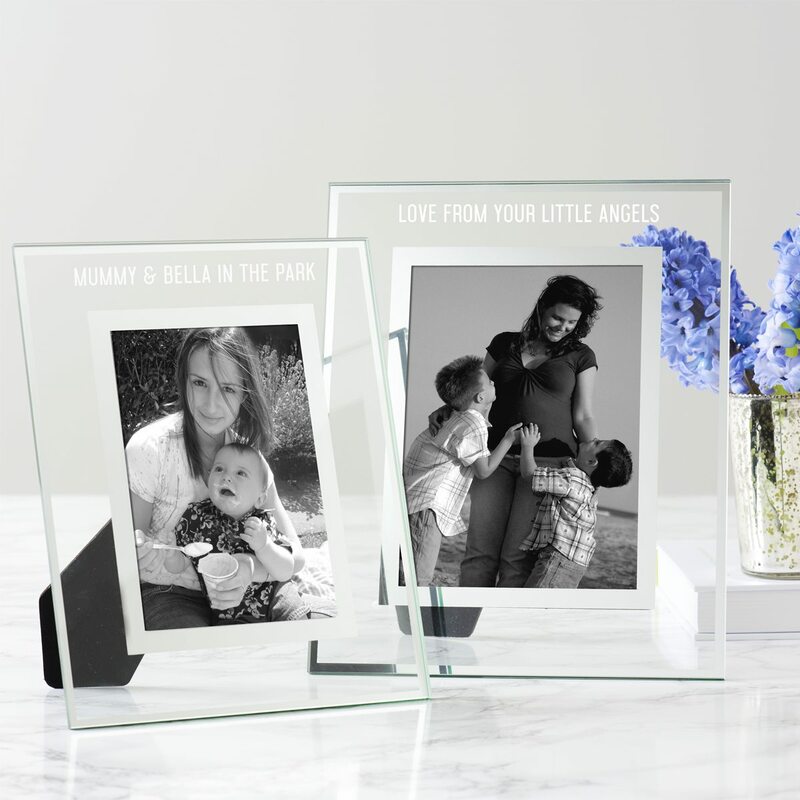 Give your mum a gift to remember with this personalised glass frame. 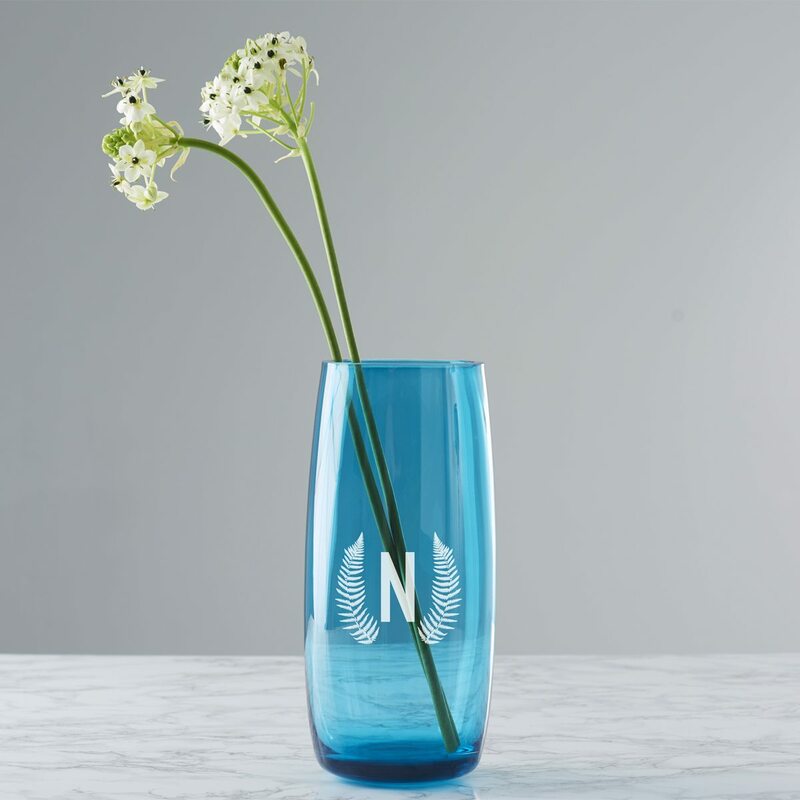 This frosted glass vase personalised with your initials, would make an understated addition to your home. A square gold edged frame, perfect as a Mother’s Day gift. 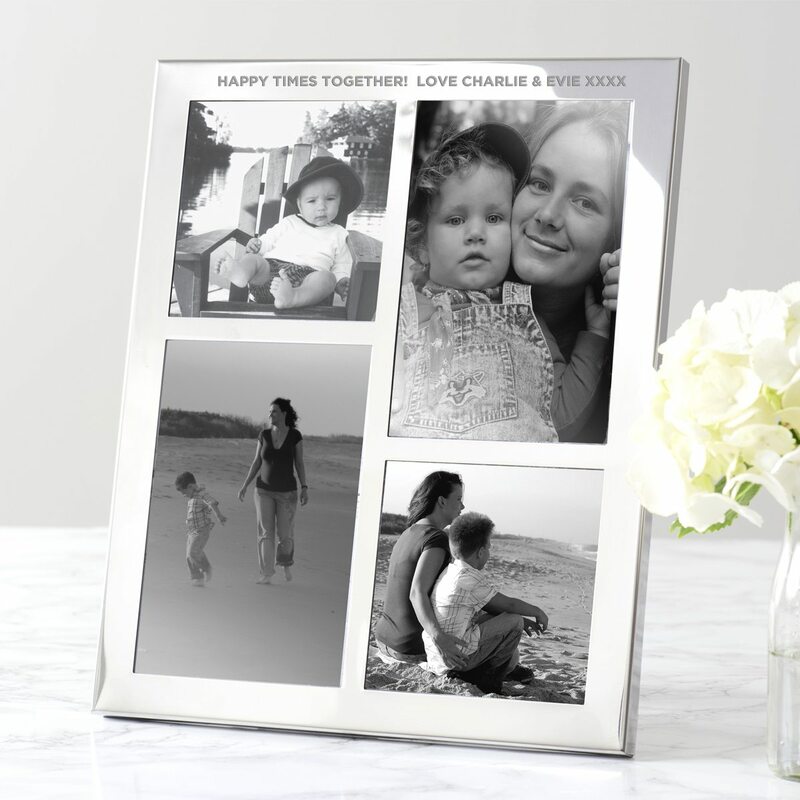 This personalised multi frame for mums would make a thoughtful, personal gift. 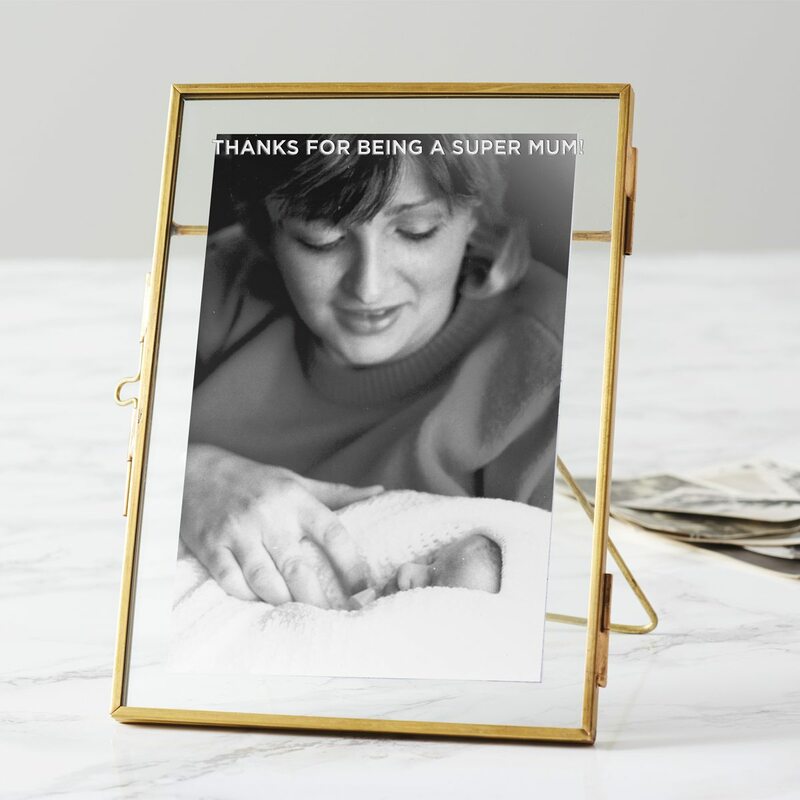 Take a trip down memory lane with this personalised multi frame for mums.